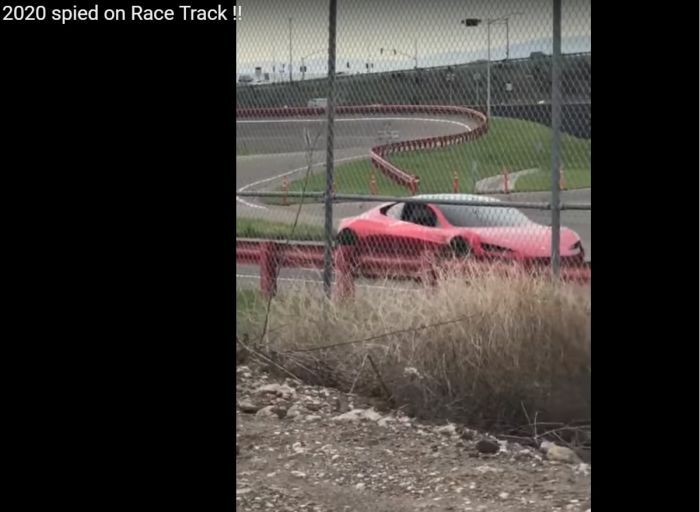 New video emerges showing the 2020 Tesla Roadster in Fremont CA doing a 0-60 mph on a Race Track with a whopping acceleration. Do you remember that last year in November when Tesla CEO Elon Musk was talking about the Tesla Roadster 2020 he promised a mind-numbing power with surprise reveal of the all-new next-generation Tesla Roadster. Is it too good to-be-true? Then Musk said that the Roadster 2020 will go from 0-60 mph in under two seconds and max out at over 250 mph. It will launch from 0-60 seconds in 1.9 seconds and 0-100 mph in 4.2 sec. Our Denis Flierl write in that article (mentioned above) that if this is all true, it will be the first time any car has broken 0-60 in under 2 seconds. We don't know about the exact specs of the Tesla Roadster 2020, but in this video, which was just revealed on April 27, the car was spotted at Tesla's Race Track in Fremont area and gives one of the best looks at the new Roadster racing. If wish the guy who did the video held his camera horizontally. It's a cool video though. Roadster takes of like a rocket. "If Musk can pull this off, Tesla will be the second U.S. company aiming to produce the world’s fastest production car. Hennessy Performance, located in Texas, just unveiled the Venom F5 supercar at SEMA 2017 in Vegas last week. But the Venom F5 is powered by an internal combustion engine (ICE) pumping out 1,600 horsepower," concludes Denis Flierl of Torque News, in the article referenced above. Here is a better video of Tesla Roadster 2020 where you can watch its insane acceleration. Anyh automaker can equal or exceed the roadster's acceleration , regardless of what it might be. Simply stuff a bigger battery and larger motors into a lightweight roadster. Tesla has demonstrated no advanced tecnology and it is doubtful that the Tesla can acheive the claimed times on street tires : 2.2 seconds is reportedly the max on street tires. Elon Musk lies about just about everything. There is also the issue of whether paying an extra $125,000 to get a car less than a second faster makes any kind of economic sense. Economic sense is complicated...the fastest/coolest car buys a lot of street cred. Every NASCAR participant and Ferrari and Mclaren are trying to buy the same...the NASCAR boys have a everyman product (as does Tesla) but the others are mainly just bolstering the sales to a couple thousand uber-rich. Both P100Ds and M3s are riding on the roadster's shirt tails..and the name recognition doesn't hurt SpaceX, solar or Tesla walls either.